This 3 bedroom 2 bathroom open plan house is in a private location perched over bushland with a beautiful view of Copacabana beach. *We are happy to accommodate flexible check-in and out times where possible. Comfortable place for 2 or 3 couples. 2 min drive to Copacabana Beach and 5 mins to Avoca Beach. 15 min walk to the beach. No through traffic as house is located down a private access road. Not suitable for mixed groups with multiple vehicles. Parking for 2 cars in the carport at the house. Well furnished with large open-plan living and dining area. 2 bathrooms (en-suite with shower, 2nd with bath and shower) plus separate toilet. There is a slow combustion wood heater and feather doonas for cool winter nights and a sheltered deck to soak up the winter sun. The yard is securely fenced and has a small grassed area. *Airconditioned for comfort in summer and efficient heat in winter in addition to the wood fire. Facilities include 100cm LCD TV, DVD, CD player, BBQ, dishwasher, washing machine and dryer. Main queen bedroom with en-suite, 2nd bedroom also has a queen bed and a comfy leather sofa, 3rd bedroom has 1 double. There is no wifi at the house. NO Parties of any kind allowed. Doonas, blankets and pillows provided. **Linen and towels not included but can be hired from Avoca Laundrette. Copacabana Beach is located between MacMasters Beach and Avoca Beach on the NSW Central Coast, 1hr 30mins north of Sydney. Copacabana on the Central Coast is unspoilt by development while still within an easy drive of all the facilities you could need. The patrolled beach has good surf and a tidal pool and lagoon make the beach safe for children. The Bhouddi National Park offers bushwalking along a beautiful coastal track. Copacabana village has a small grocery shop, bottle shop, take-away, cafes and restaurants. Nearby Avoca Beach (5 min drive) has a greater selection of restaurants and cafes and a historic Cinema. Coles Kincumber is the nearest supermarket (10 min drive). Erina Fair Mall, which has Hoyts cinemas and an ice skating rink in addition to the usual shops, food court etc is a 20 minute drive. Hi I am John I have been managing properties in the area for over 15 years. We bought this property as a weekender. When circumstances changed we offered it for holiday rental, which we have successfully done for over 15 years. It is well maintained and has all the comforts of home. It's a peaceful retreat and we love the views of the bush, beach and surrounding hills. Toilet for main bathroom is separate. Wood heater plus reverse cycle heating. Slow combustion fireplace with wood supplied. Also foil, cling wrap etc and basic foodstuffs like cooking oils, tea/coffee, condiments, spices etc. Generously equipped for 6 people. Well equipped kitchen with all the necessary utensils and cooking equipment. Great space and well maintained. Had a great stay. Lots of space in the house with all amenities. Will deferentially be visiting again. A very well setup property that has everything you need. The place is comfortable and has all the cooking items you would need. The instructions to locate the property were invaluable. Highly recommended. Quiet, lovely view and clean. Walking distance to beach and cafes! We had a wonderful time relaxing and enjoying the atmosphere at Copa beach house. It had everything we needed, we will be back. Thanks John for the step by step directions and instructions and helping us feel very welcome. Lovely views and had all we needed for our stay. Pet friendly is a bonus. Owner and cleaner both exceptionally kind when my email with directions failed me and I had to bother them for directions on a wet night. Will stay again. 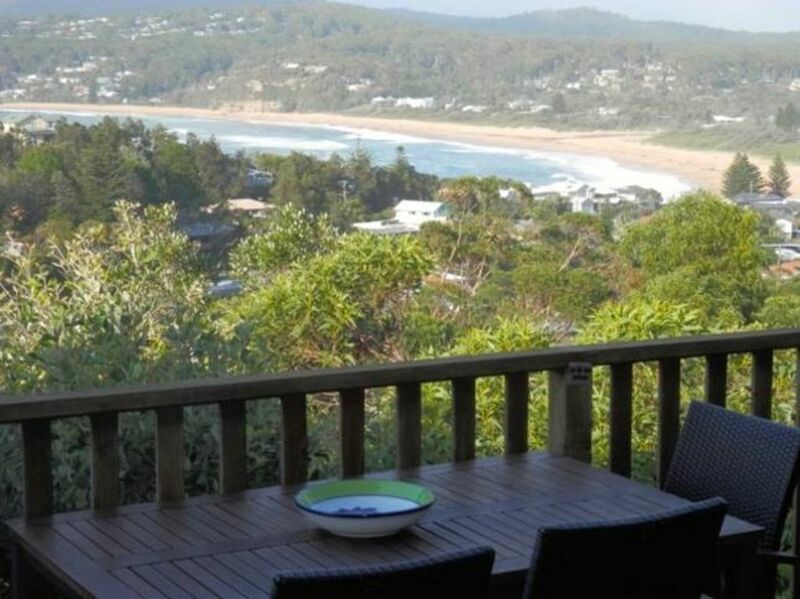 Our company recently rented Copa Beach house during a recent project in Gosford area , the accommodation and space was perfect for our workers, spacious layout , great views . The house provided off street parking which is a bit tight for work vehicles but provide security for the vehicles and tools boxes to be stored safely. Would recommend Copa beach house to anybody wishing to holiday in the central coast area .